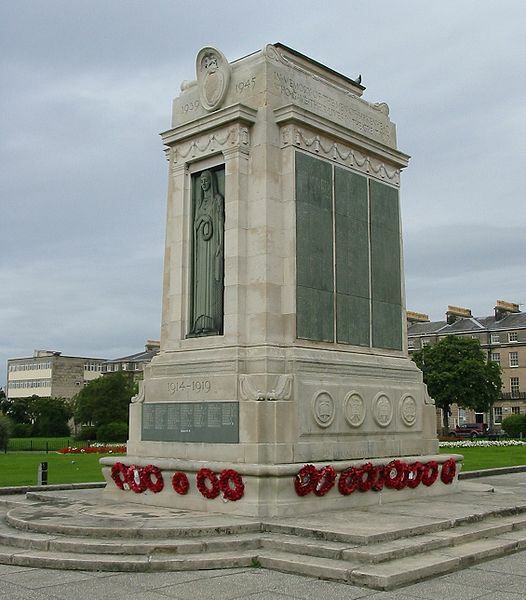 "War memorial Birkenhead" by Man vyi is in the public domain. The memorial was designed by Lionel Budden. "Southend-on-Sea war memorial" by John Allan is licensed CC BY-SA 2.0. The memorial was designed by Edwain Lutyens. "Sculpture of Quintin Hogg" by User:Chmee2 is licensed CC BY-SA 3.0. The memorial was designed by George Frampton. "London The Cenotaph" by Andrew Shiva is licensed CC BY-SA 4.0. 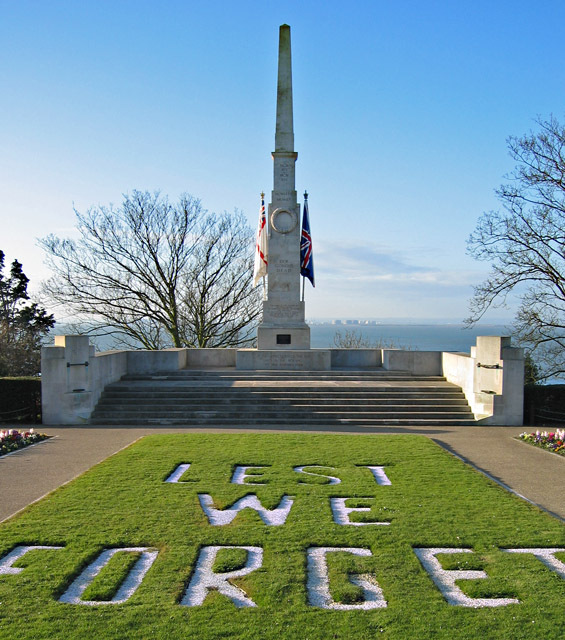 The memorial was designed by Edwain Lutyens. The First World War caused carnage on a scale not seen before or since. In its aftermath, thousands of memorials were erected in Britain as in the other countries involved. They started as a way for communities to mourn their dead, given that the vast majority of bodies were never repatriated, and became a focal point for local remembrance ceremonies which continue a century on. I have been editing Wikipedia since 2009 with a particular interest in military history. About two years ago, I was looking for a project related to the First World War centenary and noticed that Wikipedia’s coverage of war memorials was patchy. I decided to start with the works of Edwin Lutyens. Lutyens is probably best known today for his country houses, but the war profoundly affected him and much of his work from 1914 onwards focused on commemorating the casualties. He designed around 50 memorials in towns, cities, and villages across England as well as one in Wales and dozens of memorials and cemeteries in France and Belgium. 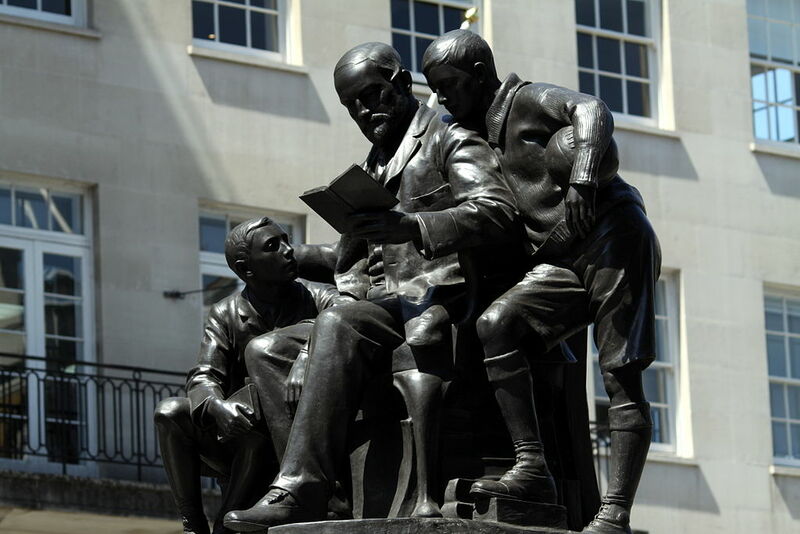 His most famous memorial in Britain is the Cenotaph on London’s Whitehall and this served as the model for many of his other works, including memorials in Southampton, Rochdale, and Manchester. I began by creating articles for those of Lutyens’ memorials that didn’t already have one, starting with the Gerrards Cross Memorial Building. 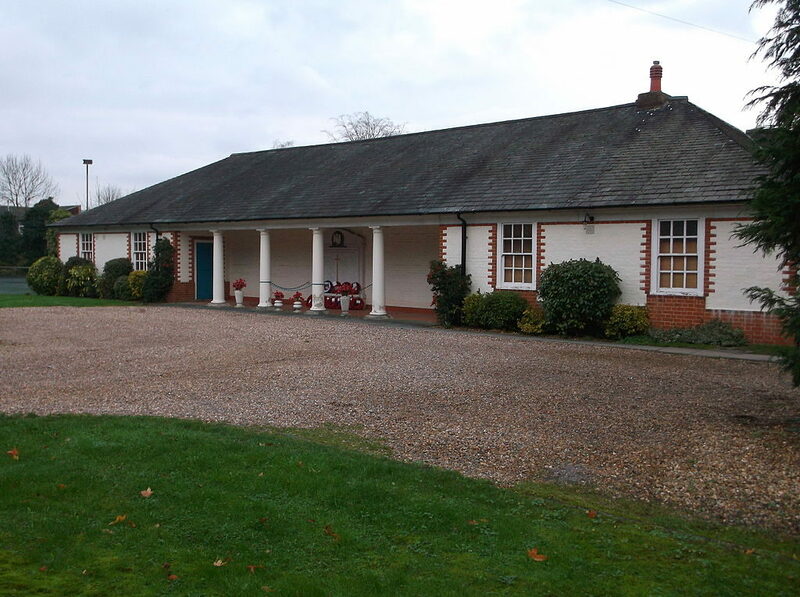 “Gerrards Cross Memorial Building” by Harry Mitchell is licensed CC BY-SA 4.0. I started there because I’d been to Gerrards Cross with a friend and fellow Wikipedian Chris McKenna and because it’s an anomaly among Lutyens’ memorials (it was the only war memorial he designed with a functional purpose). 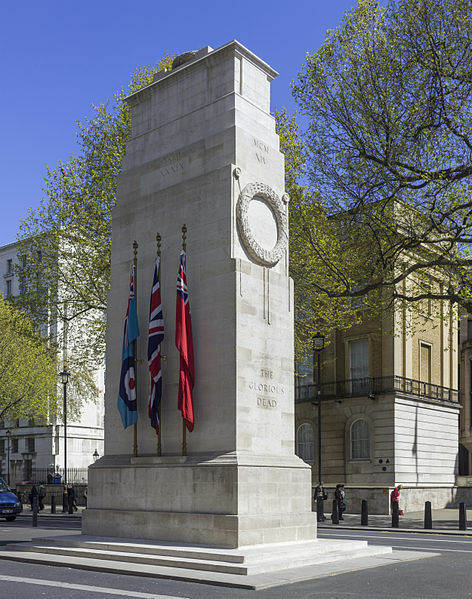 Being a perfectionist and having a full-time job, it took me a few months but all 43 of Lutyens’ free-standing war memorials in Britain now have a Wikipedia article and I’m working my way through those that already had articles. These are taking longer because they tend to be big city centre monuments with a lot of detail to cover. So far I’ve taken five war memorial articles (Northampton, Devon County, Spalding, North Eastern Railway, and York City) to featured article status, the highest level of recognition an article can be granted by the community, which comes after months of detailed review and criticism. Eventually, I’m hoping that those will be joined by several more and that these can be showcased on Wikipedia’s main page, hopefully on major anniversaries. 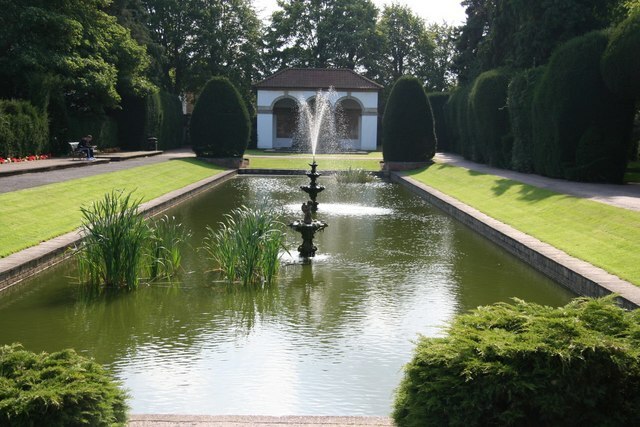 “Ayscoughfee Hall Gardens” (Spalding War Memorial) by Richard Croft is licensed CC BY-SA 2.0. Well, war memorials are everywhere. Even tiny rural villages often have a war memorial and in my opinion these are often more poignant than many of the memorials in big cities – in some cases, you can see more names on the memorial than houses in the village, which truly shows the scale of the First World War. The simplest and easiest way to get involved is to take a photo of your local war memorial or any other war memorial you pass. The good news is that many of them are listed buildings and Historic England are listing more throughout the centenary, which means you can enter photos of them into the Wiki Love Monuments Competition. It is the world’s largest photography competition, and was started to share images of our heritage. If you add your photos of war memorials near you, you are helping the whole world share in this important part of history. 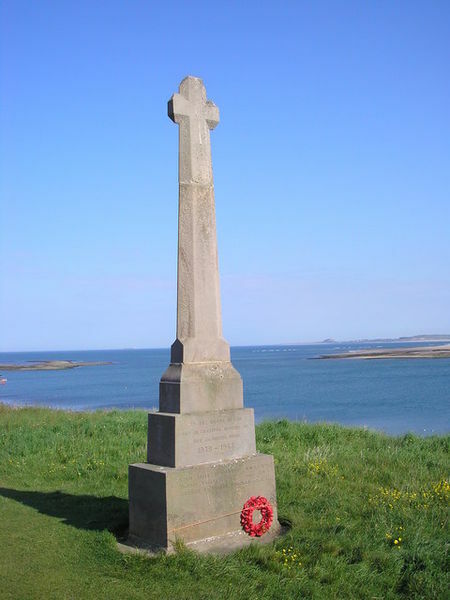 “Lindisfarne War Memorial” by Iain Lees is licensed CC BY-SA 2.0. For the more adventurous, many of the listed memorials will be notable enough that you can write a Wikipedia article about them. Memorials in big cities or by famous architects will probably already have an article but there might be new information you can add. There are over 1500 memorials currently listed and Historic England are aiming to list another 1000 – there will presumably be dozens or hundreds more in Scotland, Wales, and Northern Ireland – so the chances are you won’t have to look far from home for inspiration. Use the Wiki Loves Monuments map to enter photos into the competition.